November skies over the Flatirons of Boulder, Colorado can put on quite a color display when the conditions are right. This morning a cloud layer formed over the Flatirons while the skies were clear to the east of Boulder. 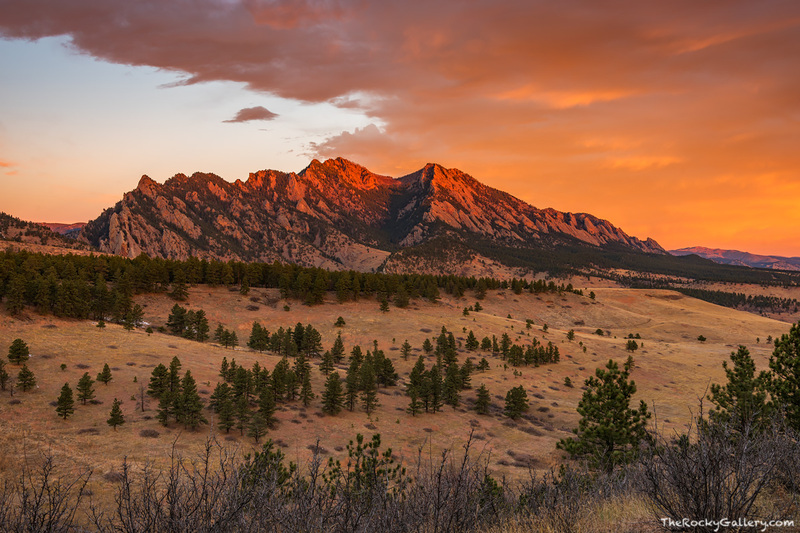 Clear skies to the east and clouds over the Flatirons caused the skies to explode in reds, orange and pinks as the sun illuminated the landscape in this view from OSMP property on the south end of town. Photo © copyright by Thomas Mangan.